• Are the only brand globally to hold both Informed Sport Site Certification and Informed Sport Product Certification. • Every single batch of Science in Sport finished product which leaves the Company’s factory is screened against the 2018 World Anti-Doping Agency (WADA) list. Banned substances including steroids are tested to the level of 10 Nanograms per gram, and stimulants to 100 Nanograms per gram. Equivalent to finding a $1 bill in a pile of $1bn of $1 bills. • Batches (sampled at the beginning, during and end of each product batch) receive the recognised and respected Informed Sport certificate. Finished product testing is the final and most effective step that we have to ensure product assurance. • Maintain full trace management of all raw materials from raw material base and manufacturing supplier, through to finished goods manufactured per production batch. This allows us to demonstrate to athletes the source of their ingredients and all parties involved in the manufacturing process. • Implement rigorous screening of all ingredient suppliers, including annual auditing. All suppliers are required to be certified to a recognised Quality Management system that is approved by The Global Food Safety Initiative. THIS IS JUST SCARE TACTICS & SURELY THIS IS ONLY FOR PROFESSIONAL ATHLETES? Not every athlete is tested as part of their training & competition routine. However, we don’t support the approach of having one rule for professionals and one rule for amateur athletes and instead offer our world class assurance programme to everyone. 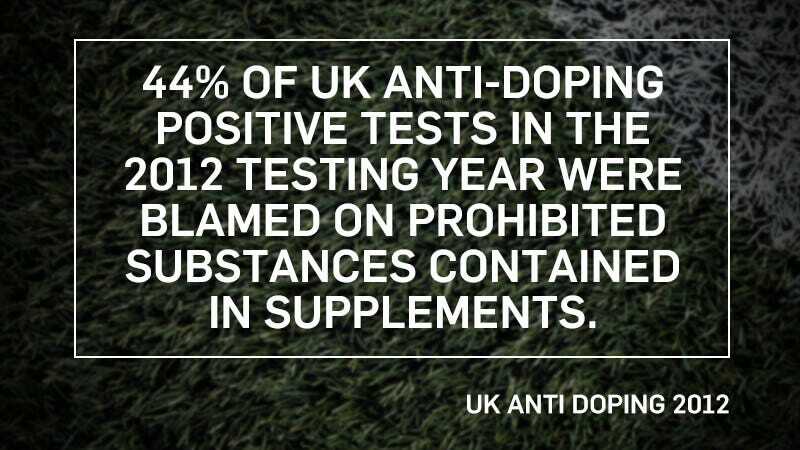 Whilst not all amateur athletes aren’t tested formally for banned substances we recognise the growing importance of giving quality assurance to everyone that our product is certified to be free of banned substances. We commit that what we make available to the general public is absolutely the same as what is used at the elite level. OUR CLAIMS AROUND BANNED SUBSTANCES. HAVE REAL SUBSTANCE. 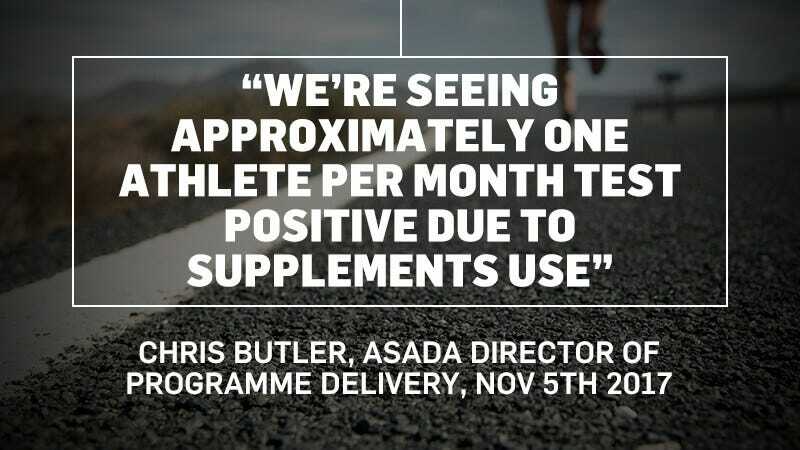 An independent European study analysed 5009 supplement samples and found that 10% tested positive for substances listed on the WADA banned substances list. A recent report in the Netherlands has shown the risk to be as high as 38% amongst what is deemed as high risk product categories. 2) Cross contamination in the manufacturing process. Cross contamination in the manufacturing process is becoming increasingly prevalent as multiple sports nutrition brands use a 3rd party manufacturer rather than manage their own production. In 2011 HFL Sport Science swabbed & audited 4 manufacturing facilities and through that process found at two of the EU facilities 12% swabs contained a banned substance. In the USA the issue was significantly higher with 85% swabs showing contamination. The independent report commented that the contamination likely entered through contaminated ingredients rather than any intentional spiking of products. You may have seen claims that "GMP" (Good Manufacturing Practice) means that brands can offer an entirely clean product range. That’s not the case and in fact it is possible for a manufacturer to be GMP certified AND handle prohibited substances. In a study of GMP certified sites, over 50% swabs taken contained trace elements of methylexonomine, a substance listed on the WADA banned list. • Good Manufacturing Practice isn’t sufficient for a banned substance policy. It’s a contributing factor but absolutely not sufficient. Informed-Sport is a quality assurance program for sports nutrition products, suppliers to the sports nutrition industry, and supplement manufacturing facilities. The programme certifies that all nutritional supplements and/or ingredients that bear the Informed-Sport logo have been tested for banned substances, defined by WADA 2018 Prohibited List, by the world class sports anti-doping laboratory, LGC. Manipulation of blood and blood components, tampering with doping samples, (Re)introduction of blood or red blood cell products into the circulatory system. Some methods can artificially enhance the uptake & transport of delivery of oxygen.